Congratulate some one in style! 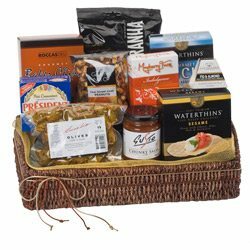 This gigantic hamper is bursting with savoury gourmet treats, complemented by two bottles of Australian wine. 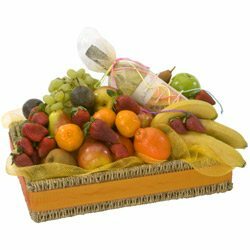 Treat someone to this basket of fresh, seasonal fruit beautifully complemented by a bottle of Australian white wine. 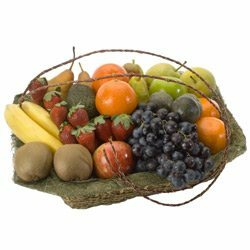 This basket of fresh seasonal fruit is brimming with goodness! 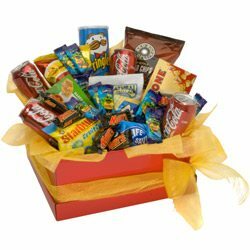 Packed with every ones favourite treats, you can really get the party started with this box full of goodies. 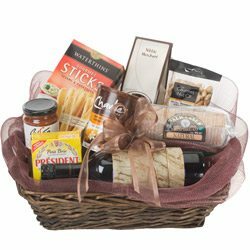 A selection of savoury gourmet treats presented in a basket. 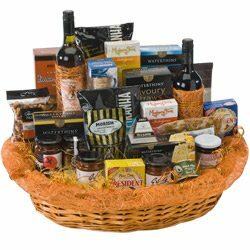 Sweet and Savoury gourmet and wine hamper. Time for some tempting treats! A first-class selcetion of sweet and savoury gourmet items, topped off with a bottle of Australian red wine.